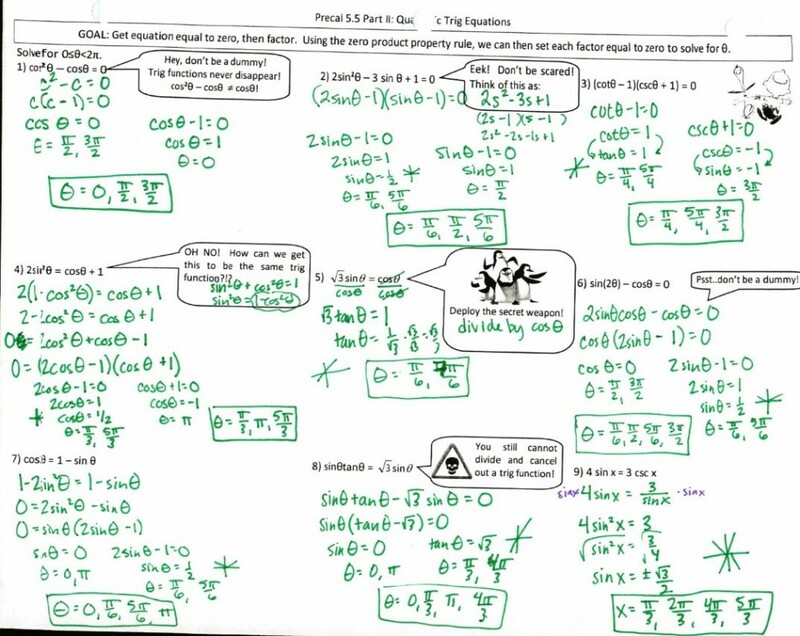 Precal Files: Dude, I told you I love Trig. 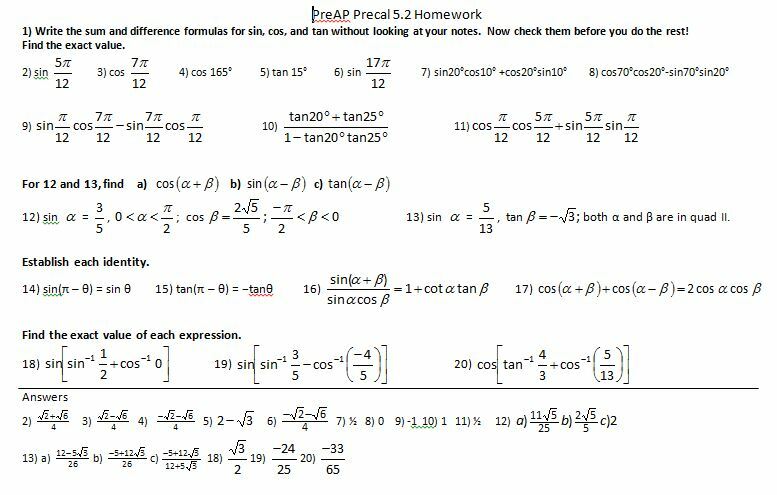 tl;dr: Notetakermakers, homework, and study guides for trig sum/difference/double/half angles, trig identities, and solving trig equations. Part of my ongoing series of posting all of my files; see more and FAQs on this page. Plus I tell you about an awesome book at the end! Yes, I love trig. I love that I there’s always new ways to think about and teach it. I love that it’s so elegant. And I love that it’s one of those topics that looks scary and is scary and new but eventually most kids get it and feel so smart about it. Now, check out the middle box of the “three fraction hints” above. If it’s the first time you’ve seen this multiply-by-the-common-denominator-of-the-small-denominators, then be sure to read this post about it. 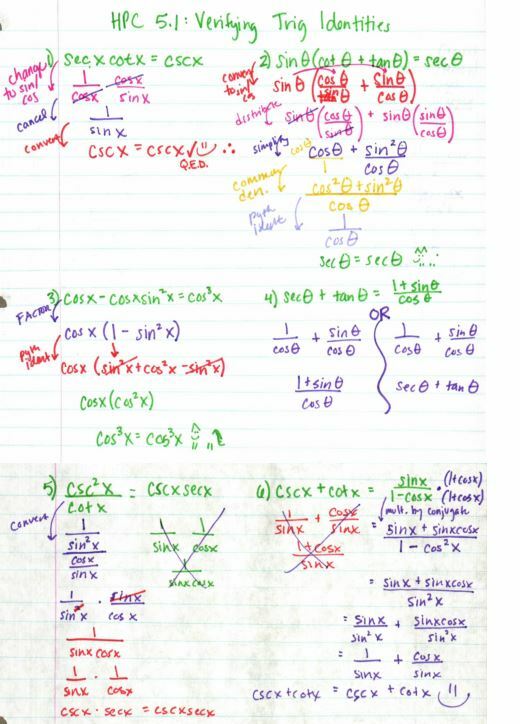 It’s totally awesome and is so handy in Precal and Calculus! This is also the first time I talk about Q.E.D and I tell them they could use any symbol to show “YES! I DID IT!” such as a check, smiley face, corgi, or unicorn. Then I have them work on the rest of the first column for homework with the rule: if you’ve been on a problem for more than 5 minutes without getting anywhere, stop and move on. Since I teach honors, I know some of them would get trapped in a problem for 20 minutes and then just get frustrated with the whole thing. Then we work on the others in class on group whiteboards for a day, and finish them up whenever we have a few minutes throughout the week. and say, “we do not have the same sign.” Although, confession: I have no idea how the story is supposed to help memorize the tangent sum/difference formula–please let me in on the secret if you know it! Another confession: Crazy Stupid Love is one of my favorite movies of all time. File here. 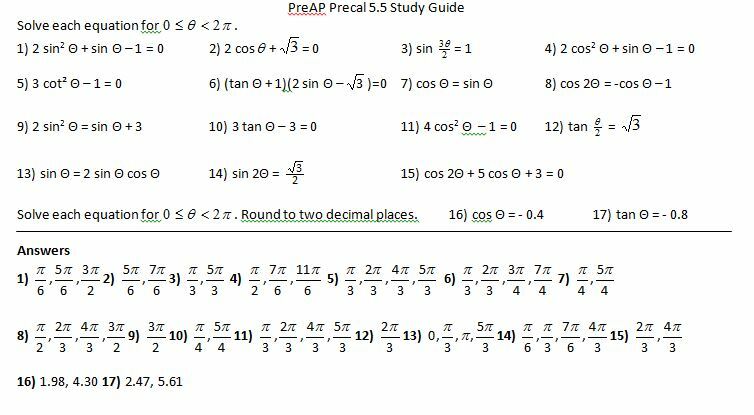 We also decided this year not to do the problems like 7 and 8 so I will allow you to skip those as well. You’re welcome. File here. 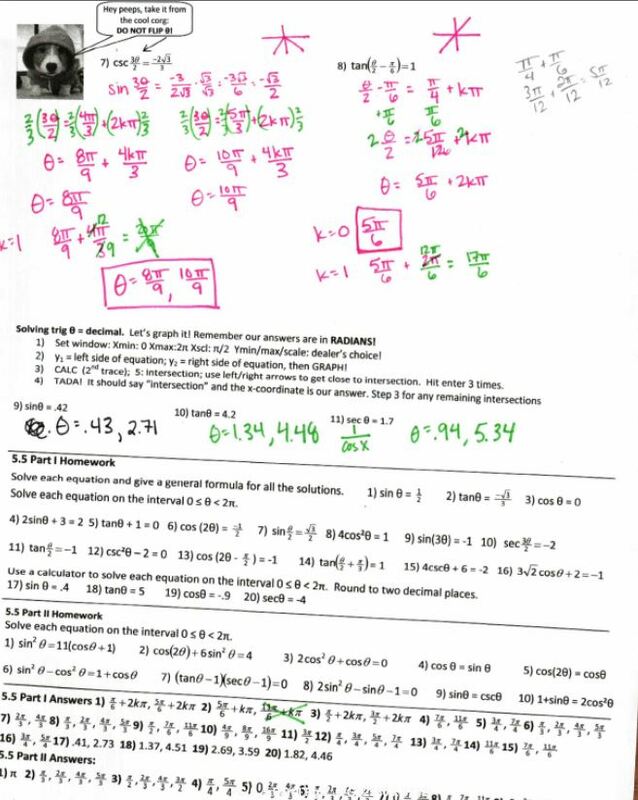 If you do skip 7 and 8, also skip 12, 13, 18-20 on the homework. File here. 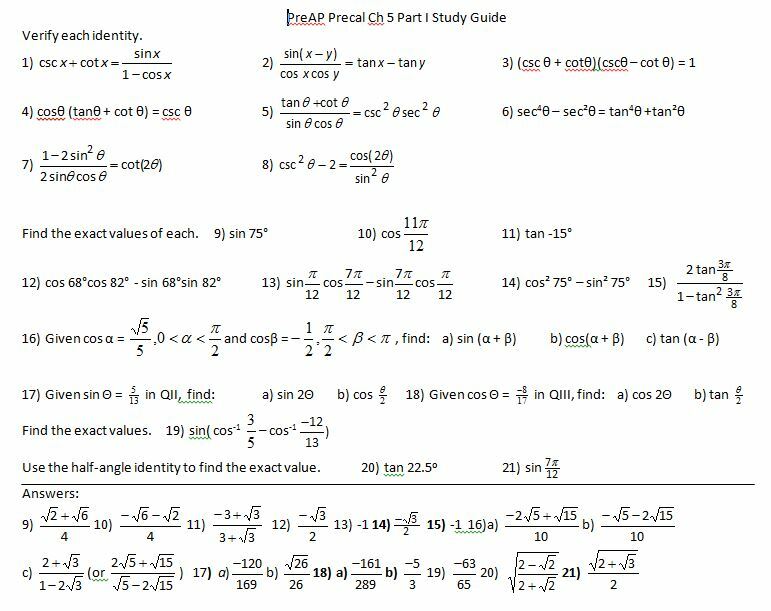 Fun tip: have them derive the double angle formula of sin and cos from the sum formulas and then everybody gets to feel smart. File here. 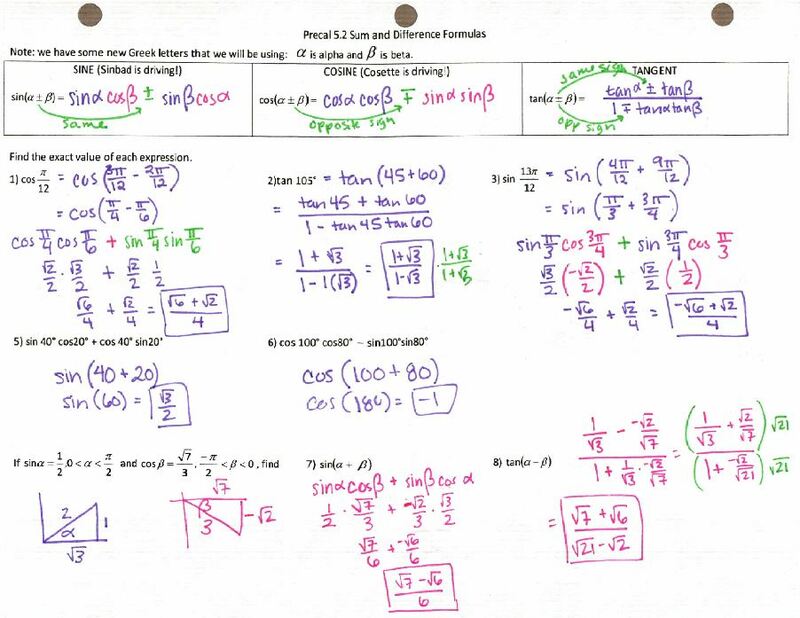 (omit #19 if you’ve been omitting stuff) And then begin solving trig equations! 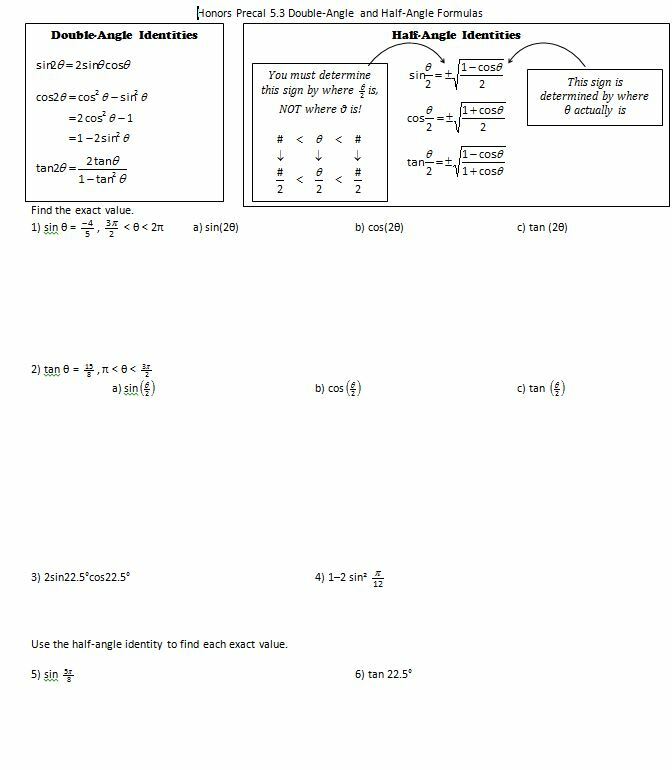 Check out that awesomeness about sin 2x having twice as many answers, but 1/2x could have the same number of answers or even no answers between 0 and 2pi. Yeah, I was really clip-art happy when I was making all these. 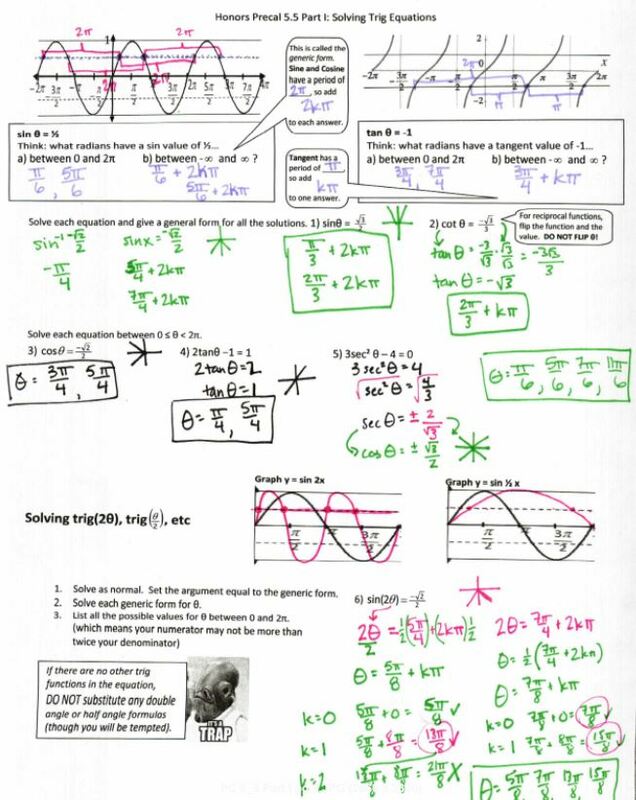 And then some quadratic and mixed equations! Cute and cuddly, boys, cute and cuddly…. It’s only one section, but worthy of its own study guide and test.